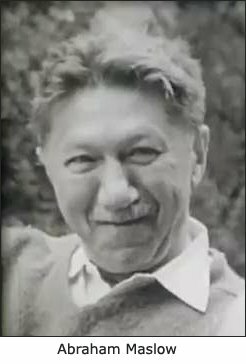 Abraham Maslow was one of the strongest proponents of the humanistic movement in psychology and also one of the biggest critics of behaviorism and psychoanalysis. Maslow viewed human beings in a very positive light and believed that everyone has a natural tendency to pursue progress and achieve their highest potential. 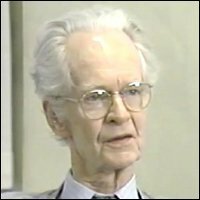 Maslow argued that we are all innately good, kind, and virtuous, and that psychologists had spent far too much time focusing on the negative aspects of humanity. "Human nature is not nearly as bad as it has been thought to be." While he believed that parenting and childhood experiences were vitally important, he also proposed that we are responsible for our own development and that we can consciously choose how to shape our future. Yes, we are all born with what Maslow called "instinctoid needs" or "innate needs" that drive us to grow, develop, and do whatever is necessary to fulfill these needs. BUT, he was also one of the first people to suggest that individuals are unique beings. In a time dominated by the stimulus-response theory, this idea was quite shocking. 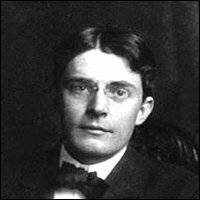 Behaviorists such as John B. Watson denied individuality but believed that you could create any behavior you wanted by using the right punishments and rewards. Still others argued that everything about personality was biological and had nothing to do with social environment or personal experience. So, Maslow's more humanistic approach was met with both interest and criticism. Basically, he said that although the needs are innate - or inherited - the behaviors we use to meet these needs are learned and can vary widely from person to person. The needs (nature) drive us, but the behaviors we have learned, based on our social environment and childhood experiences (nurture), will influence how we work to satisfy the needs. In this way, Abraham Maslow stressed the importance of parenting and childhood experiences, believing that they could either help or hinder later development. However, he also said that adults do not have to be victims to unhappy or unhealthy childhoods. Since our innate nature is basically good and optimistic, we have the potential to overcome the negative emotions and experiences and make a conscious decision to change our future. Abraham Maslow's theories resulted in the emergence of a whole new field of psychology and the rise of new approaches to therapy based on the idea that people have all the resources they need to grow and overcome (This is the core essence of his self actualization theory). The therapist's job is simply to help facilitate the discovery process. 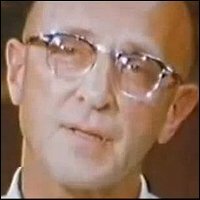 In fact, Maslow's work laid the foundation for one of the most famous and popular types of therapy known as "client-centered therapy" developed by Carl Rogers. 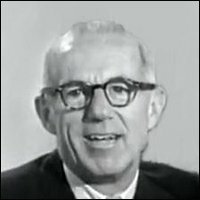 Although Maslow's theories were most popular during the 1960s and 70s, many of his ideas are still prevalent in the workplace, education system, and parenting courses. 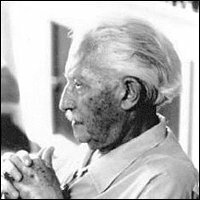 So as you can read, Abraham Maslow changed the face of psychology and his theories have impacted everything from parenting to therapy techniques. Undeniably, Maslow continues to have great influence in many fields of study and research, and his ideas can still be seen in many areas of society. 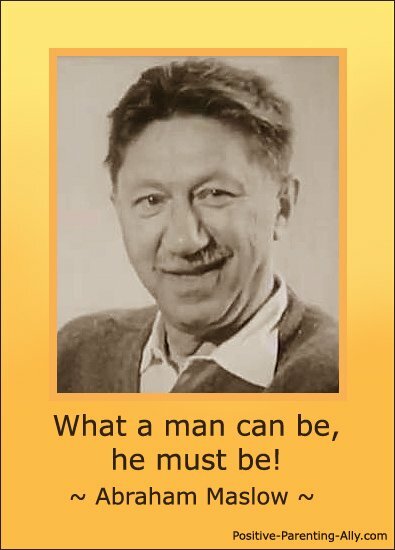 Abraham Maslow was born April 1, 1908 in Brooklyn, New York. He was the oldest of seven children, born to Jewish parents who immigrated to the U.S. from Russia. The family was very poor with little hope of improving their station in life. Abraham Maslow described his childhood as lonely and unhappy, saying that he grew up isolated and without friends. He was not close to his parents and claimed that his father ignored him while his mother was "absolutely selfish and narcissistic" (Schultz, 1986, p. 298). His father pushed him very hard to achieve in life, and at his parent's wishes, he began to study law at the City College of New York. However, it wasn't very long before he realized that this was not his calling, and after 3 semesters he transferred to Cornell University's psychology program. 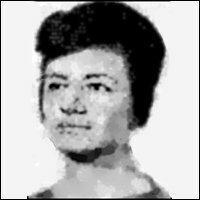 When he was 20, Maslow married his wife, Bertha, and shortly afterwards the couple moved so he could attend the University of Wisconsin. Although his parents did not approve of the union, Maslow claimed that his marriage gave him a sense of belonging and love that he had never experienced before. He said that getting married and attending the University of Wisconsin provided him with much needed direction and purpose, something he felt lacking in his childhood. For the first time he had some stability in his life and felt true joy. While in Wisconsin, Abraham Maslow began working with Harry Harlow who is known for his experiments with baby monkeys and his study of attachment behavior. This experience, together with his interest in research done by Edward Lee Thorndike at Columbia University, began to change young Maslow's philosophies. 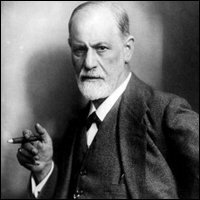 His interest in psychology had begun with a fascination of Watson's theories, prompting him to begin training in Behaviorist methods. However, his own research and observations at the University of Wisconsin created a curiosity in social behavior, the development of self-esteem and belonging, and the study of human motivation. Maslow completed his B.A. in 1930, his M.A. in 1931, and his Ph.D in 1934. A year after graduation, he moved back to New York to continue his research with Thorndike at Columbia University. In 1937, he accepted a teaching position at Brooklyn College where he stayed for the next fourteen years. It was here that much of his theory was developed. From 1951-1969, Maslow served as Chairman of the Psychology Department at Brandeis University, and was president of the American Psychological Association for 1968. 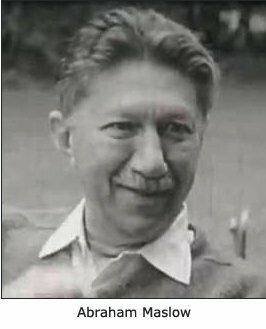 Abraham Maslow died on June 8, 1970 at the age of 62. At a time when the focus of psychology was on the emotionally disturbed, mentally ill, or unhealthy aspects of humanity, Malsow chose to look at the more optimistic side of mental health. It may sound like a trivial angle - but this was really new at the time. Abraham Maslow argued that when you study only the ill, you ignore all the positive factors. Remember, he believed that everyone is innately kind, good, and virtuous, and that we all have an inherited drive to achieve our full potential. This was true of all individuals - even the unhealthy. The reason they don't grow and progress is because something is hindering the process. 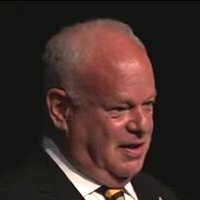 So, the best way to understand human nature and personality development is to study the healthy and find out what they are doing so that the unhealthy can be guided along the same path (this 'going-for-the-healthy-and-positive' approach is very similar to the idea inherent in Martin Seligman's positive psychology). Maslow believed that studying the best representatives - those who have achieved self-actualization - was the only way to determine the true potential of humanity. Observing the emotionally disturbed will tell you what is wrong, but studying mentally healthy individuals will tell you what is right. And, it is only by knowing what is right that you can fix a wrong. "The study of crippled, stunted, immature, and unhealthy specimens can yield only a cripple psychology" (Abraham Maslow quote, 1979, p.180). According to Maslow, there isn't even a point in knowing "why" a person is ill unless you can offer a solution. Knowing that you broke your leg because you fell out of a tree is not really helpful unless you have available resources to repair your leg and regain healthy function. Abraham Maslow stated that we all have those resources within us, and whether we are healthy or unhealthy is not the main point of focus. The key is to recognize the abilities within ourselves and tap into them so that we can overcome negative circumstances or experiences and begin moving toward self-actualization. 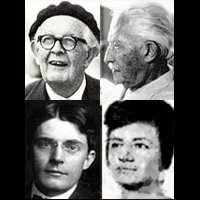 So, unlike Freud, Alfred Adler, or John B. Watson, Maslow's theory was not created by observing the emotionally disturbed, but was developed from his study of the healthiest personalities he could find - both living and dead. As well as finding healthy individuals in the society around him, he also studied detailed biographies of historical figures such as Thomas Jefferson and Abraham Lincoln. From this, he came up with the idea that focusing on the positive is much more important than the negative and finding the answer is more vital than dwelling on the symptoms. And, the greatest answer lies in finding out what the healthy are doing to stay healthy. When it came to personality development, Maslow proposed a hierarchy of needs and suggested that these needs act as motivators to make people work toward growth and progress. Now remember, Maslow believed that everyone is born with basic innate needs which motivate and direct behavior; but while the needs are biological, the behavior is learned. From his observations, he determined that the needs at the bottom of the hierarchy must be at least partially satisfied before the next level will emerge. For example, a person living in poverty is highly concerned about their physiological needs and gives very little thought to a sense of belonging and self-esteem. How can someone "better" themselves if they barely have enough food to survive the day? In other words, while all the needs are within us, they will not all take prominence at the same time. The needs of only one level can dominate at any point in time; although, it is possible for the next need to begin to emerge when the ones before are only partially satisfied. However, Maslow does stress that "partial satisfaction" means that the need is no longer dominant. For a person living in famine conditions, the need for food and clothing is the only thing on their mind. But, someone living in the "slums" of a major city may have concerns about having enough food and clothing; however, they are not "starving". Therefore, while physiological needs are still an issue, they are satisfied enough to possibly allow needs from the next level to begin appearing. While the goal is to move up the hierarchy, Maslow believed that you can move down as well. For example, a teenager who was raised in an affluent home will have both their physiological and safety needs met and will probably be focusing on love and belonging. However, if a parent dies or loses their job, the family can suddenly come under stress. A loss of income can result in the loss of the home which leads to a reversal in the needs hierarchy. Now, the focus is once again on the safety needs, and quite possibly the physiological needs as well. The adolescent's sense of security has been threatened and the lower level needs take precedence over the higher level ones. According to Abraham Maslow, the lower the need, the higher its strength and priority. Needs at the top of the hierarchy are much weaker. He also stated that higher needs appear later in development. By his theory, physiological and safety needs appear in infancy, belonging and esteem needs emerge in adolescence, and self-actualization does not take precedence until middle adulthood. Because the lower needs are absolutely essential to survival, Maslow called these Deficiency needs or D-needs. The higher levels are called Growth or Being needs because they are not vitally necessary - although they do produce happiness, contentment, better health, and stronger relationships. Maslow believed that almost all mental illness or abnormal behavior arises from a need deficiency - whether connected to survival or not. His focus was on changing behavior by satisfying the need. No theorist - Maslow included - is free from personal biases and social and cultural background. Everything we have experienced color our view of the world and our goals in it. "It is perhaps understandable that Maslow, who rose out of a childhood marked by poverty and hardship to a position of respect and prominence, would believe in the tendency of the self to grow, develop, and actualize. It is also understandable that, coming from a background where food and shelter were important everyday concerns, Maslow would develop a system in which those needs assume a position of primacy until they are satisfied. Since as a child he felt lonely and isolated, it is not surprising that needs for belonging, love, and esteem are important in his theory, once physiological and safety needs are satisfied." (p. 298). These are the most basic needs for food, air, water, sleep, excretion. At this level, these needs are the most powerful and the person is driven by the desire to satisfy them. In a normal situation, physiological needs are most prominent in infancy when the baby's main concerns are food and comfort. These needs include such things as stability, security, protection, structure and order, and freedom from anxiety. Again, these needs are of most importance in infants and young children, although they also appear in unhealthy or insecure adults. Maslow noted that children respond well to structure and routine and he believed that well balanced parenting will facilitate a sense of security. Complete permissiveness and lack of boundaries create insecurity and anxiety in children, but total control can also cause fear and a threat to stability. He suggested that children be given the freedom they can handle within limits, and that a parent should guide children to self-direction and help them explore their abilities within boundaries. Abraham Maslow also pointed out that most normal adults have satisfied this need; however, they still prefer some predictability and structure. These needs include a need for friendship, family, intimacy, and a sense of belonging. These needs can be met through close relationships, lovers, or marriage; but, Maslow also said that an individual must find his place within a group or society. But where do they fit in the family, in their workplace, in their social groups, or in society at large? 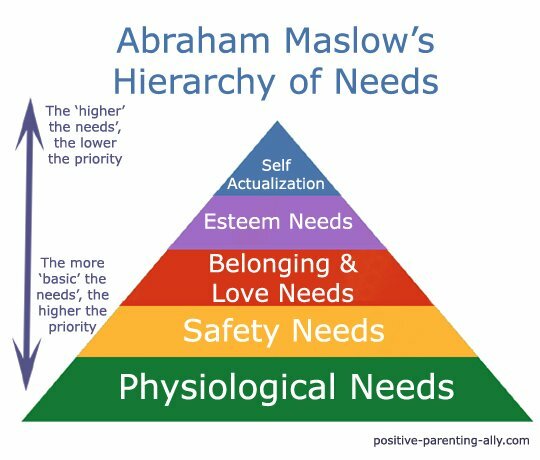 Maslow had a concern that with the changes he was noticing in modern society, these needs would become increasingly difficult to satisfy. Few people stay in the neighborhood in which they are raised, families are moving regularly for jobs, and social contacts are constantly changing. 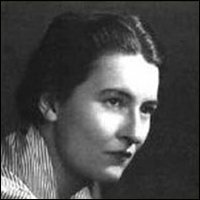 Maslow feared that if people did not find new ways to satisfy the need for love and belonging, society could face serious problems. In his opinion, failure to satisfy the love need (the need to love and be loved) is one of the greatest causes of problems within modern culture. Some people argue that Maslow's concerns were somewhat unmerited since he was unaware of the future technological advancements that would aid in communication and help people maintain relationships even from a distance. These include both the need for self-respect (self-worth, confidence, achievement) and the respect received from others (status, recognition, success). So basically, there are two kinds of esteem needs: self-esteem and esteem given by others. When these needs are satisfied, a person will feel confident, competent, valuable, and will be productive in relationships and life in general. If esteem needs are not met, an individual will feel inferior, discouraged, and lack confidence in both his decisions and abilities. Maslow also stressed the importance of esteem being "earned". For example, someone will bow before a prince simply because he is a prince - not because of anything he said, did, or accomplished. He distinguishes this type of esteem from someone who is respected for something such as establishing a charity, earning a Ph.D, or even being a good parent. This is the highest level on Maslow's hierarchy of needs and can only be gained once all preceding needs have been adequately met. Basically, it is the realization or achievement of all your potentialities and capabilities. Maslow states that even if all the other needs are satisfied, a person will not be happy if he is not working to become all that he can be, or using all his skills and abilities. "A musician must make music, an artist must paint, a poet must write, if he is to be ultimately at peace with himself" (Abraham Maslow quote, 1970, p.46). Since everyone is unique, self-actualization will be different for each person depending on their potentialities. Again, Maslow stresses the importance of childhood since someone who does not feel safe, secure, and loved will not pursue self-actualization. 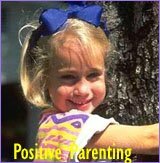 Excessive control or permissiveness by parents will also inhibit growth and prevent movement toward self-actualization. The main question often raised with Maslow's theory is: if the need for self-actualization is innate then why isn't everyone self-actualized? Higher needs are less powerful; therefore, self-actualization is the weakest of all needs. There may be things suppressing the need, the individual may be consciously ignoring the need, or the emotional environment may not be supportive to pursing self-actualization. For example, if a girl wants to play hockey but she is raised in an environment that thinks hockey is only a boy's sport where girls don't belong, then she will deny her potential because she believes it is wrong. It takes a lot of work to achieve self-actualization. It means discipline, self-control, overcoming challenges, and sometimes breaking free of prejudices and societal norms. Sometimes it is easier to "play safe" rather than "rock the boat". The Jonah Complex: Maslow believed that many people fail to achieve self-actualization because they do not have confidence in their abilities. Fear and low self esteem overrule courage and they begin to doubt themselves and their potential to achieve greatness. They have not satisfied the need to know and to understand. This is actually a mini-hierarchy that overlaps Maslow's larger one, and is very important to self-actualization. Although it is not clear why Maslow did not include these needs in the original hierarchy, he does claim that they are also innate and that they do drive and motivate for satisfaction. 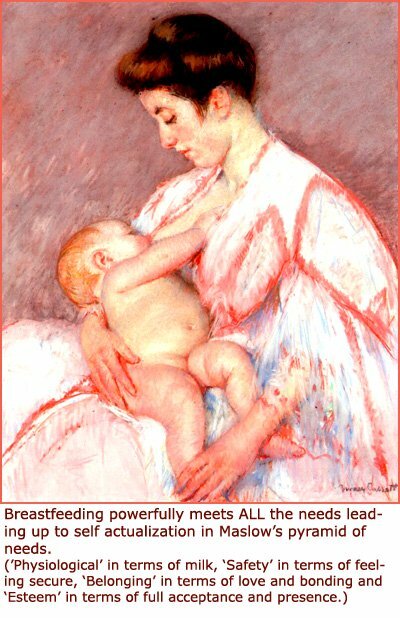 According to Maslow, the needs to know and understand emerge in late infancy or early childhood. At this stage, a child becomes very curious about his environment. He will want to touch everything, put objects in his mouth, and will be fascinated with shaking a rattle or squeezing a squeaky toy. As a child grows and develops, his curiosity will drive him to explore and investigate his surroundings. Abraham Maslow observed that this curiosity is not taught but emerges naturally, although he was concerned about parents and teachers inhibiting this natural curiosity, particularly those who support behaviorism. Older children and adults will express this need by analyzing, experimenting, searching for explanations, weighing options, or even trying new things just to see what will happen. Like any other need on Maslow's hierarchy, a failure to satisfy the desire for knowledge and understanding can affect development and negatively impact personality. And, the need to know is stronger than the need to understand, so the first need must be at least partially met before the second one will emerge. 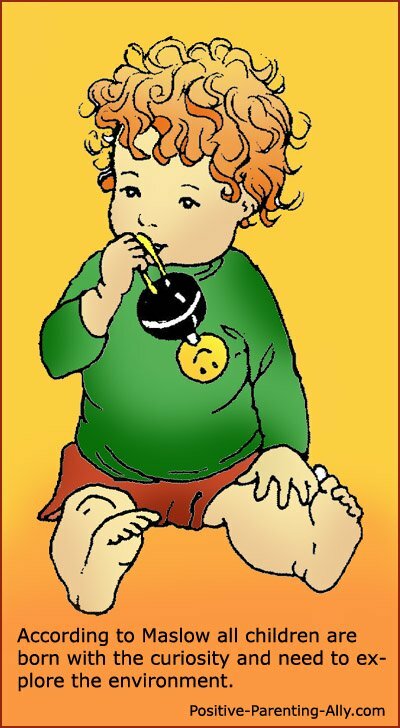 For example, a child will "know" that if he shakes a rattle it will make a noise. At first, he does not need to understand why it makes a noise, he just knows that it does. As he gets older, he will begin to search for an explanation and will either investigate on his own or begin to ask questions. Maslow explains that the two hierarchies are intertwined in that a person must know and understand in order to find purpose and function properly so they can then gain love, esteem, and self-actualization. Therefore, self-actualization is not possible unless all needs are satisfied, including the needs to know and understand. A parent who inhibits a child's curiosity or does not allow him to investigate and interact with his environment will discourage the development that leads to self-actualization. On the other hand, a parent who provides their child with a lot of opportunities to interact and explore will facilitate the satisfaction of needs and help him reach his full potential. Maslow's theories were very popular in the 1960s and 70s, but then he seemed to fall out of favor with his academic colleagues for a while. 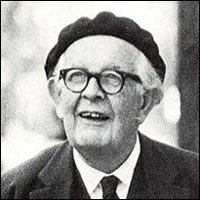 While people like Jean Piaget agreed whole-heartedly with Maslow's ideas, many people expressed their criticism. Among academics and researchers, the biggest criticism was the fact that his theory was based mostly on case studies, small sample groups from the upper class, and historical figures no longer alive. Maslow stated that the needs were innate and universal, but many argued that he could not prove this since he did not account for cultural, economic, or even gender differences. - Who Is Maslow to Decide Who Is Self Actualized? There was also a question about his study of self-actualized people. The sample group was not only small but contained people that Maslow himself declared self-actualized. But, if self-actualization is reaching your full potentialities, who decides when this has happened? If someone had certain characteristics, Maslow determined that they were self-actualized. And, was someone who didn't fit Maslow's criteria definitely not self-actualized? Many felt that self-actualization is, in fact, untestable and that Maslow's definition was unscientific. 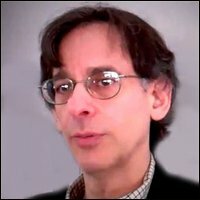 Self-actualization is quite subjective, and if someone feels that they are content and satisfied, is it anyone else's right to declare that they are unfulfilled? From a psychological point of view, many critics object to the idea that self-actualization is only achieved by a few and only in middle life. Why can't a teenager be self-actualized? 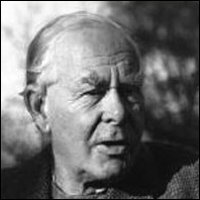 According to Piaget, self-actualization is not a level (as Maslow implies) but a process that one is always working towards. In other words, healthy people are self-actualizing rather than being self-actualized. It is a verb not an adjective. People have a built-in desire to continue improving and progressing. Therefore, why can't a 17 year old reach all the potentialities that he is capable of at that point in time and be self-actualized - at least for the moment? Still others do not agree that one need must be at least partially satisfied before another emerges. There are a lot of people living in great poverty that still dream of a better life, beyond simply worrying about their next meal. In fact, many great authors, painters, and revolutionaries have done their greatest work while dealing with poverty, depression, social crisis, or war. 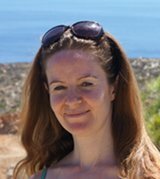 Despite criticism, Maslow's theories seem to have a lot of merit and are making resurgence with the current popularity of positive psychology and positive parenting approaches. Abraham Maslow's writings were geared primarily to his colleagues and fellow psychologists. Therefore, they are not really easy reading for the average person and require a lot a time and patience to get through. 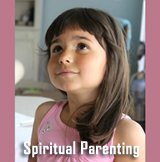 However, for those with the inclination, his books are full of interesting and valuable information that can positively impact your parenting approach. 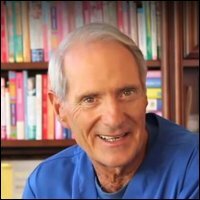 His two most recognized books are Motivation and Personality and Toward a Psychology of Being. These writings cover all the basic tenets of Maslow's theories including the hierarchy of needs, characteristics of the enlightened or self-actualized person, metamotivation, peak experiences, and his definition of "psychology of science". Although these books are difficult to work through, they do contain case studies and examples, and will help you understand Maslow's theories from his own point of view.